Manchester United left-back Luke Shaw has been pushed down the pecking order to a degree that his career at Old Trafford could be ‘effectively’ over, according to reports. Shaw, who hasn’t started a single game for United this season, has made only two appearances for the Red Devils, and both of them have come as a substitute in the Carabao Cup. The second so-called appearance of only three minutes came on Tuesday, when United beat Swansea City by 2-0 to book a place in the quarter-finals of the domestic knockout cup. Manager Jose Mourinho decided to hand a start to 19-year-old Axel Tuanzebe instead of Shaw, who has been fit for the last six weeks. And now, as per The Guardian, the Englishman’s relationship with the Special One seems to have taken a toll such that the left-back is now ‘concerned his Manchester United career is effectively over’. It was reported that the Portuguese tactician was still ‘unhappy’ with the defender’s attitude, and believes that the 22-year-old ‘hasn’t done enough to merit a return to the starting XI since achieving full fitness’. 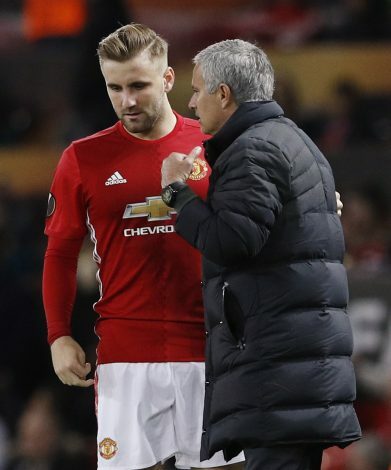 Back in April, Mourinho had criticized Shaw for being ‘long way behind’ his teammates after omitting the left-back from his squad that drew 0-0 with West Bromwich Albion. However, the former Southampton star believes that ‘he has done everything possible to prove himself,’ and is now said to be looking for new employers, even though a move away from Old Trafford in the winter transfer window seems to be a lost cause. In 2014, Shaw switched from Southampton for a then world-record fee for a teenager of £27 million, but be it due to injuries or lack of fitness, the young defender has not been able to live upto his true potential.